This two-day event offers trainees the opportunity to present their research via poster or platform presentations. Guest speakers include faculty from local universities as well as National experts in various aspects of cancer care and research. The conference is open to all researchers and students throughout Atlantic Canada undertaking cancer-related research. • to all of the attendees for participating. We hope that you found the conference informative and that you enjoyed the various sessions. All feedback received will be considered when planning future events. 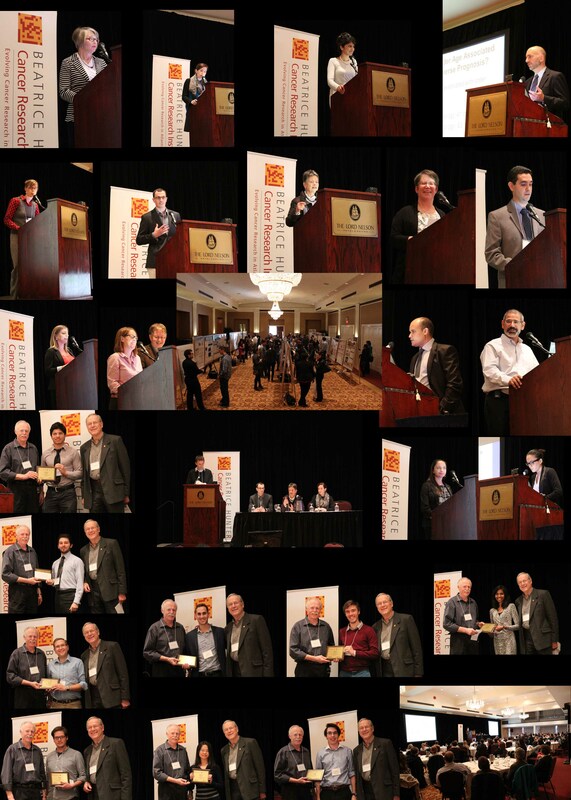 Thank you to all attendees of the 2016 BHCRI/TFRI Cancer Research Conference in Atlantic Canada: Recent Advances in Cancer Research which was held on 7-8 November 2016 at The Lord Nelson Hotel & Suites, 1515 South Park Street, Halifax, Nova Scotia. to all of the attendees for participating. We hope that you found the conference informative and that you enjoyed the various sessions. We encourage those who attended to provide feedback via the website link on the back of the conference booklet. All feedback received will be considered when planning future events. Congratulations to all of the platform and poster winners! Thank you to everyone who attended the 2014 BHCRI/TFRI Cancer Research Conference on Monday 3 November and Tuesday 4 November. This year's theme was: Child, Adolescent and Young Adult Cancer. Please view the program for more information. We would like to thank all of the volunteers who helped with the conference in any way – and hope that we haven’t missed anyone: Natasa, Derek, Krysta, Wasu, Andra, Eric, Ryan, Simon, Colin, Mo, Chungen, Vino and Ben. Special thanks to Anna Greenshields who served as photographer over the two days and to Moamen Bydoun for volunteering and for arranging for other volunteers to help us in a number of ways. Each recipient received a personalized plaque along with a $100.00 cash prize. If you have not already done so, we hope that you will take a few minutes to complete a conference evaluation. The link may be found on the back inner cover of the conference booklet. 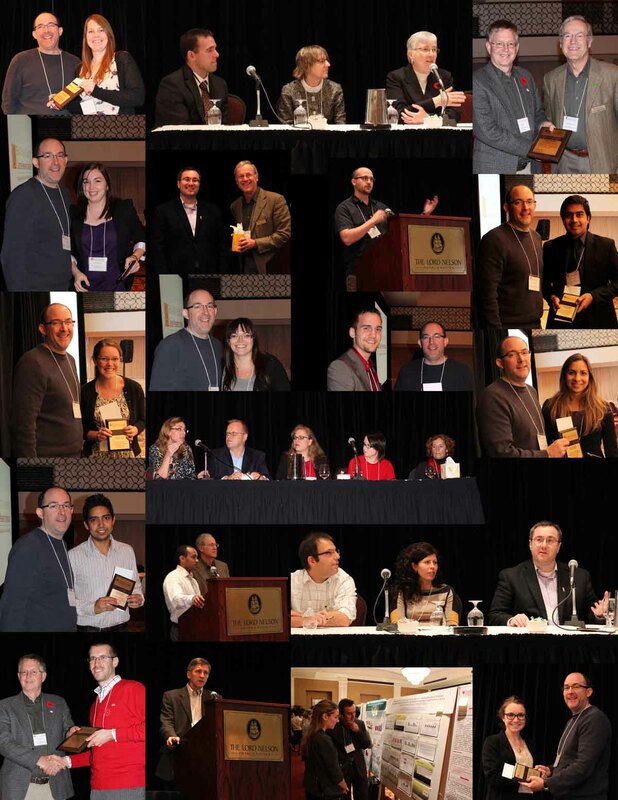 The theme was "Bridging Across Disciplines: Creating Innovative Approaches for Cancer Research in Atlantic Canada." 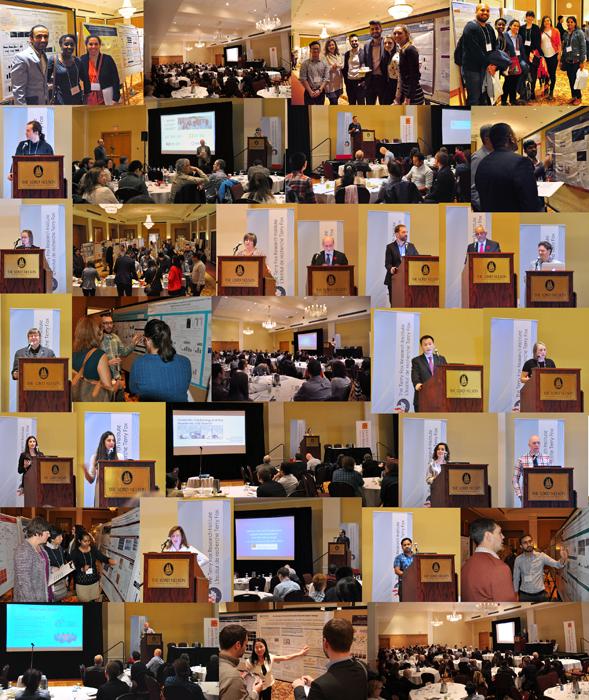 We are grateful to everyone who attended and supported the 4th Annual BHCRI Cancer Research Conference in Atlantic Canada. Thank you all! I enjoyed the oral presentations and how they linked basic research scientists with clinicians and social/behavioral scientists. The conference was very organized and well-assembled. Very organized, all the events ran smoothly and there was very little discrepancy between the outlined schedule and the actual events. Interesting to get a global perspective on cancer research from sociological studies all the way to pure sciences. Enjoyed the ability to meet and interact with colleagues at other Atlantic institutions. How broad the scope of the conference was. There were so many interestingposters and they varied greatly. It's nice to see all different kinds of researchbeing equally supported. Thank you to BHCRI for giving my research team a great opportunity for learning all about on-going cancer research in the Atlantic Canada. More importantly, it was the ideal place for net-working and identifying potential research collaborations. For more information, please contact admin@bhcri.ca or phone 902-494-8970.